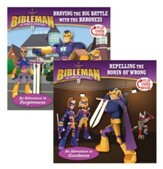 Join Bibleman and his team, taking up the armor of God with this Bibleman foam sword. 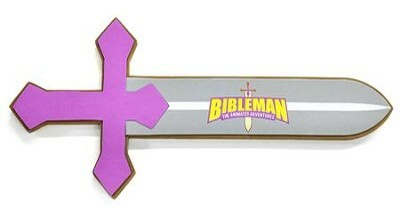 Use this foam sword to help fight villains using the power of God's word. Made from soft and durable foam, measuring 7" x 18". Designed for children ages 4 and up. 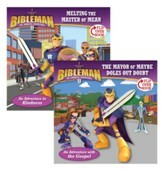 I'm the author/artist and I want to review Bibleman Foam Sword.